Takikomi Gohan is a Japanese rice dish typically seasoned with soy sauce. 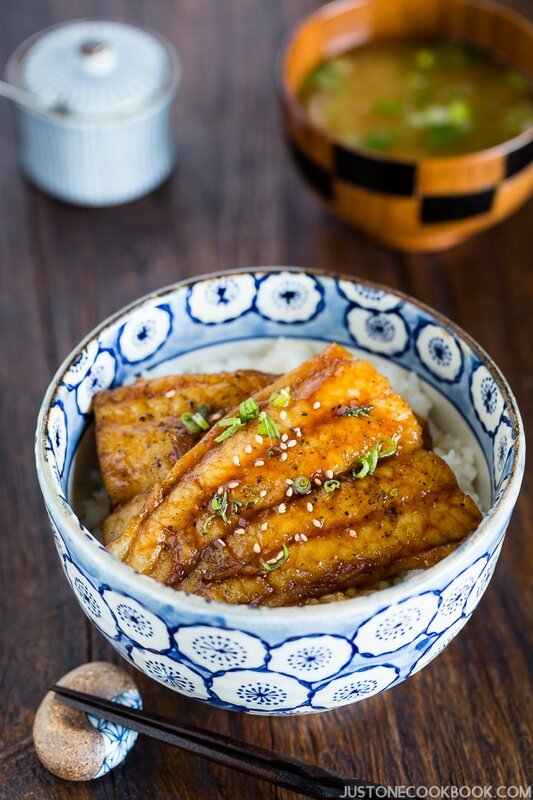 Although I’ve seen Takikomi Gohan on a menu at a high-end Japanese restaurant here in San Francisco Bay Area, most of you probably haven’t heard of this dish. In Japan, depending on season, we add different kinds of vegetable, meat, and mushrooms so you enjoy the food each season offers and get extra nutrition instead of just plain white rice. People are always creative in regards to the ingredients they put in. Today I added leftover fish cake called Chikuwa and Gobo root. 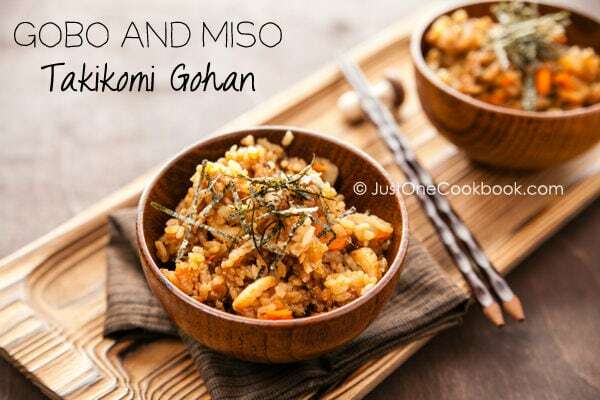 I also added miso this time because both ingredients go really well with miso flavor. 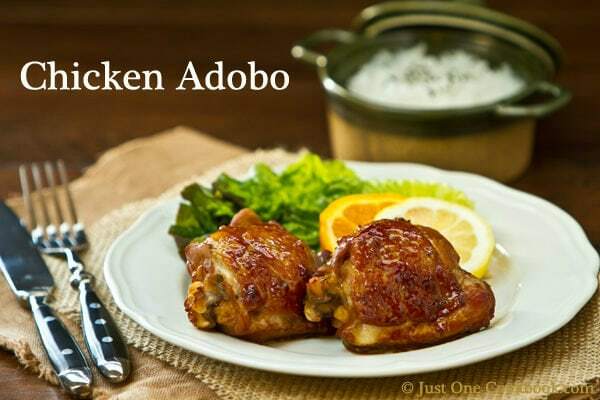 If you are tired of just plain rice, I hope you will add this recipe to your repertoire. 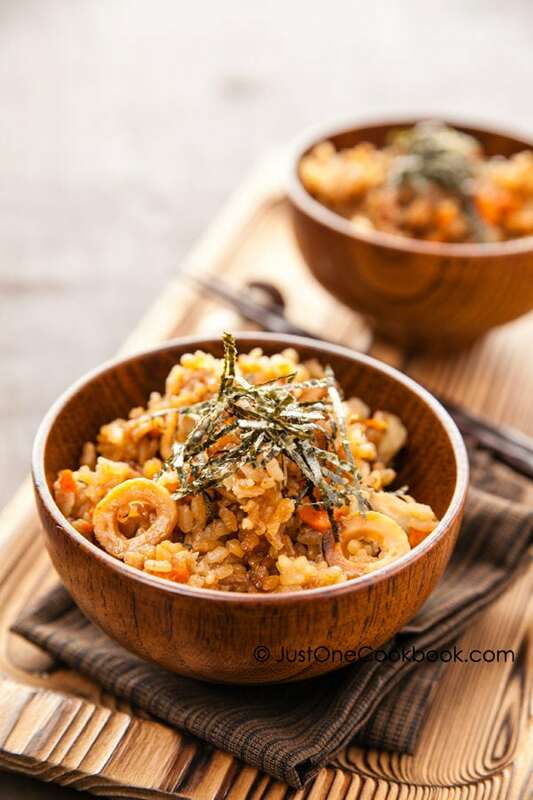 Takikomi Gohan is a Japanese rice dish typically seasoned with soy sauce. Although I've seen Takikomi Gohan on a menu at a high-end Japanese restaurant here in San Francisco Bay Area, most of you probably haven't heard of this dish. Rinse rice until water is almost clear (See How To Make Rice). Drain well in a fine mesh sieve and leave it for at least 30 minutes. Place rice in the rice cooker. 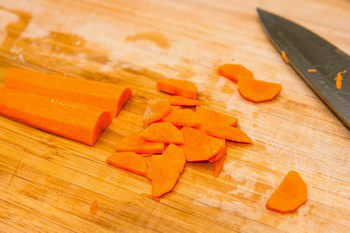 Peel the gobo root and cut in half lengthwise and thinly slice diagonally. In a medium bowl, soak gobo root in water or vinegar water (2 cups water + 1 tsp. 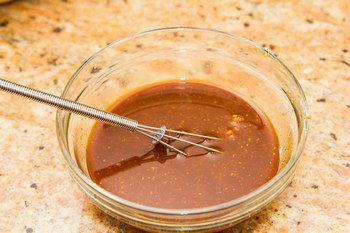 vinegar) for 15 minutes to prevent from changing color and drain well. Peel the carrot and cut in half lengthwise and slice thinly. Cut chikuwa into thin pieces. 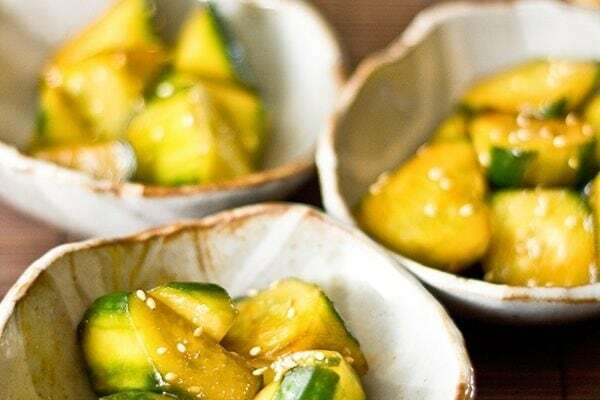 In a small bowl, combine soy sauce, Miso, Mirin, and sake and mix well. Pour the seasonings into the rice cooker and mix well. 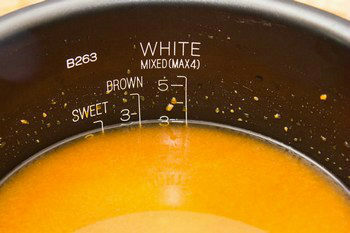 Then add water up to “3”, the specified level marked in the inner bowl. Add the gobo root, carrot, and chikuwa on top of the rice. 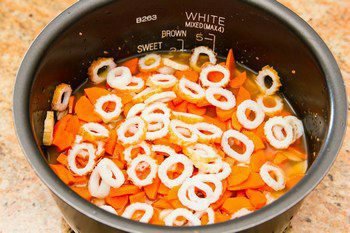 Place in the rice cooker and start cooking. If you have a “Mixed Rice” option, use it (See Notes below). When rice is done cooking, wait 10 minutes before you open the rice cooker. Mix well and serve Takikomi Gohan with Yuzu Kosho for spicy taste and garnish with shredded nori sheet. 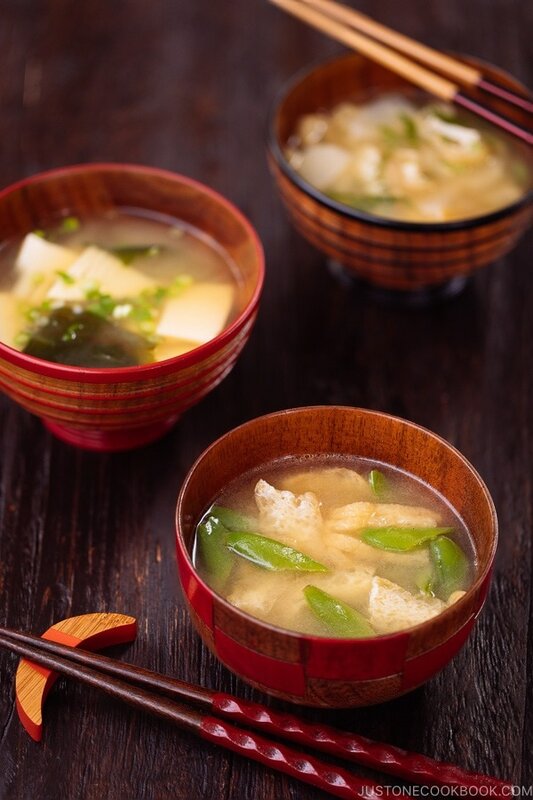 Miso: Some brands of miso can be saltier than others so please adjust accordingly. 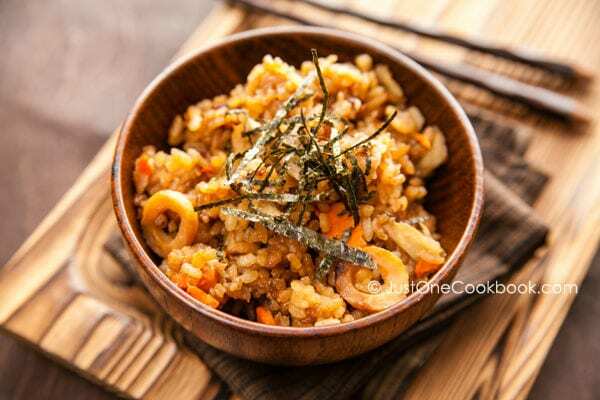 Regular or Mixed Rice setting on rice cooker: The main difference is that Mixed Rice setting will create burnt rice called “Okoge” on the bottom of the rice cooker. Takikomi Gohan (mixed rice) always have the burnt rice from soy sauce in the seasoning, and many people enjoy the burnt charred rice. If your rice cooker doesn’t have the mixed rice option, steam extra 5 min longer at the end before opening the rice cooker. I love flavoured rice. I don’t think I can find gobo but I guess the ingredients are variable. I like the seasonings. Must be a bit sweet from the mirin. Yum! Hi Adora’s Box! Yes, mirin (sweet) gives nice balance to the rice as soy sauce and miso is salty seasonings. Thanks for coming by! Nami this is great! I’ve never tried making a flavored rice IN the rice cooker. So easy- brilliant! 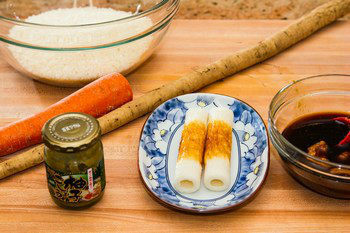 I might try this with some ****ake and bamboo shoots (my favorites). Flavored rice is the best! Hi Sandra! Yes, I love all kinds actually… I should cook another one soon. Hi Mika-san! Yeah different kinds of mushrooms is good one. I should cook one with Hijiki soon. Soy sauce and rice are match made in heaven! I just love the way you added all those ingredients..sounds even more tasty! Thanks so much for impressing me with one more amazing recipe!!! Hi Sandra! I’m happy to know I can “impress” someone like you…really?!?! Haha. More Takikomi Gohan recipes will come in the future as I cook this often. Hopefully MUCH BETTER picture. This one is horrible! Another wonderful post! I have never heard of this but it sounds so yummy. 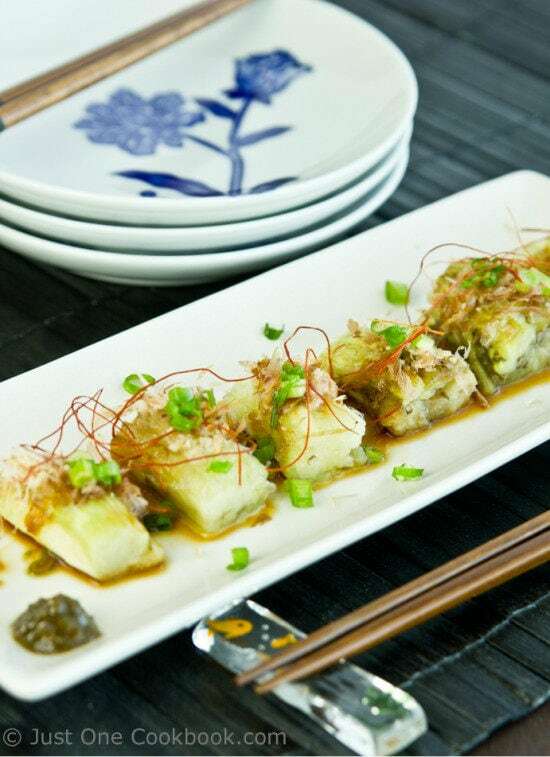 I love learning all these new Japanese dishes I have never seen before! Yum! 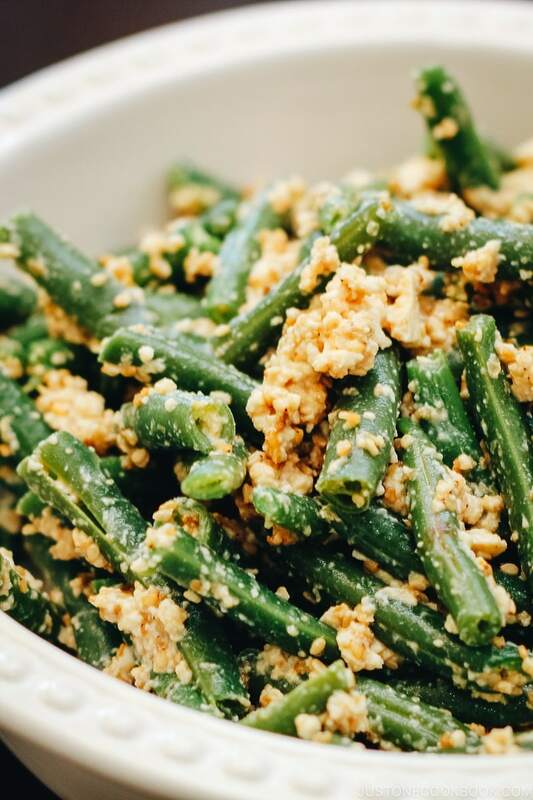 This looks like a perfect side dish! My rice cooker isnt this big. How would you make this recipe by using a NABE (on the Stove)…. thank you for your time. Hi lele! You can reduce the portion according to your rice cooker, or you can use regular pot to cook this rice over the stove. 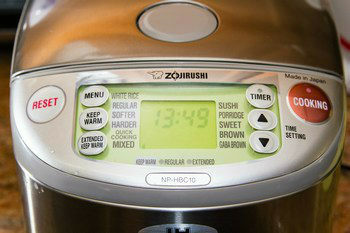 1) wash rice and soak in water for 30-60 minutes. Drain. 2) prepare same volume of water as (soaked, not dried) rice. If the rice is 1 cup of rice, you need 1 cup water. However, for Takikomi Gohan, you have seasonings, so put the seasonings first, then add water till you have 1 cup. 3) Start cooking on high heat. When boiling (you near noise of boiling), cook 2 minutes over high. 4) Reduce heat to medium and cook for 3 minutes. 5) Reduce heat to low and cook for 5-7 minutes. Check quickly if there is any water left. If it is, cook a little longer. 6) Turn off the heat and keep it cover for 15 minutes. arigatou gozaimashita. I cant wait to make it. Hi Nami, I made this over the weekend and it was definitely a nice change to plain rice! I really liked the balance of salty, sweet and even slightly bitter from the burdock. And, I can’t possible complain about the extra nutrition :). Thanks! Thank you so much for trying this recipe. I’ve been planning to update the horrible picture but I haven’t had the chance to replace it. I appreciate your time to write me your feedback, and thank you so much!!! Hey Nami, I can’t wait to try this recipe but I don’t think I can get my hands on any gobo root. I was wondering what other things you put in? Hi Nami, love your recipes and beautiful blog. I started my first Japanese cooking when I bumped into your blog few months back and now terriyaki salmon, pork rolls, Saba, miso soup are our family favourite dishes. Keep it up ! Can you let me know how to cook this takikomi gohan with chestnut ? Hi, I don’t have this rice cooker. Can I use regular setting on a regular rice cooker? I have a bottle of Hatcho Miso in my fridge. It has Hatcho Black Miso Paste in it. Would any of this have peppers in it. I have to be very careful as I am allergic to peppers. Hi Charlie! No peppers. I got your email, and Mr. JOC has responded – sorry I couldn’t get back to you in time, I’ll try to respond in 2-3 days, but usually I’m delayed and takes a longer. Sorry if we couldn’t respond before your dinner time. Thank you so much in getting back to me on the peppers issue! So many things have peppers today that it makes it difficult. Very glad the miso doesn’t! Don’t worry about supper, I delayed it and had something else. Too easy! I do know how busy you are and totally understand that you can’t always answer questions right away. I’m totally amazed that you do as much as you do. Hi Charlie! I can imagine… miso should not contain any peppers (I never heard of it…). Thank you for reading my blog, and I really appreciate your support. Have a wonderful weekend! Will be the same if I just use regular jasmine rice, since I don’t have japanese short grain rice. 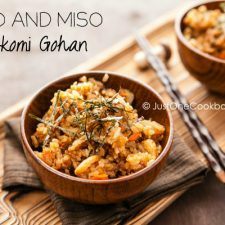 Please post more takikomi gohan 🙂 its just make making lunch for the kids the nest day easier.